Our industry is young but fast evolving. That’s what’s making it exciting. We started just a bit over than a decade ago with the major marketing advice of being listed in online directories and here we are now: Optimizing for complex and freakishly smart search algorithm. We need to adapt and adapt fast. How? Let’s start with the hottest trend: Voice search.
.@PurnaVirji is senior manager of global engagement at @Microsoft.
.@PurnaVirji is specialist in voice search, chatbots, artificial intelligence and digital marketing. She is an award-winning former journalist, avid traveler, aspiring top chef and amateur knitter. Q1 How did you become a digital marketer? What’s your career story? What’s it like to work for @Microsoft? 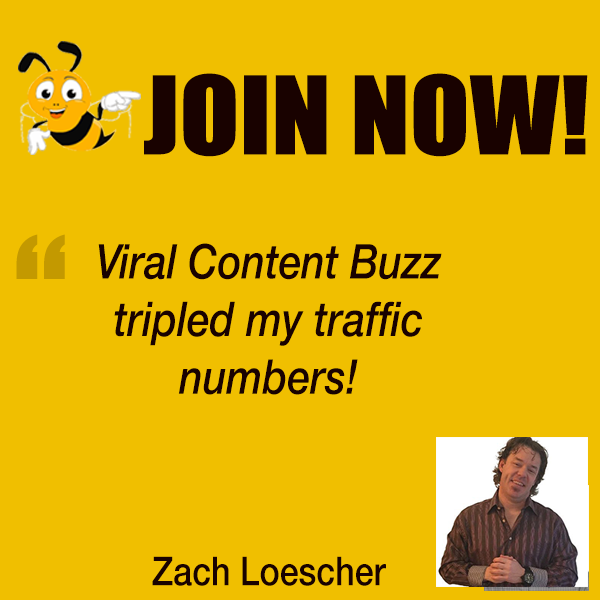 I fell into digital marketing by accident, like many others. I started off as a journalist- I produced a talk show on TV for several years. Then, I moved to PR and while doing that discovered this cool new thing called #SEO and #PPC. It fascinated me from the start. I’ve worked agency-side, in-house, and run my own consulting business before @Microsoft reached out to me for a new team they were putting together under their Innovation department. I’ve been a proud #Microsoftie ever since. Q2 What’s with all the buzz on voice search? Is it justified? How can marketers prepare? Certainly there’s a lot of buzz (pun intended haha) around it, as we see tech adopt to speaking and listening just as a human can. when computers start to speak humans then more humans can interact with them. A high % of folks say they use voice on a daily basis. We’re still not quite there with the more back and forth queries, and the number of searches is still a very small percentage. So what should people do? The good news is that focusing on what works for #SEO anyway will help you. Optimize for featured snippets, ensure you have structured data and proper markup, answer Qs conversationally, list your business in business listings for @bing @google & @apple, optimize your citations. Things you should do anyway can all help with voice search. A couple of examples, @dominos makes it super easy to order pizza via a chatbot or a skill (thus great way to increase conversions), @tide has a skill that shares tips on how to remove over 200 diff types of stains, so a great way to build brand association. The best way to think about what to do, is to find ways to best serve your audience. What are pain points that conversation can make easier? Start with that. Then leverage voice search for the discoverability it can help provide. Q3 What about on the paid search side, any recommendations? Right now, there are no paid ads for voice search, it has not been monetized yet for anyone. What we do see sometimes on both Cortana and Google Assistant searches is that if a question is asked and the SERPs come up, then there is a chance that ads may be present. But that is only because it is bringing up the regular SERPs, and there is no way to buy ads for voice search at the moment. There are other ways that advances in #AI are helping #PPC too…mainly I see this with the audience targeting options, e.g. In-Market Audiences. I think it will be very interesting to see how voice search will be monetized in the future– we’re all waiting to see! I should also point out that many people think of voice search and think voice only – but that’s not the case. There is often a visual element too. In fact, according to Juniper Research, the vast majority of us will use our digital assistants on our cell phones, which of course have a screen. We should think about screen-less as well as screen + voice experiences. Q4 What other digital marketing trends excite you and why? There are a couple that I’m really fascinated by right now. First, is visual search, 2nd, chatbots. Let’s start with visual. We’re naturally visual creatures, we eat with our eyes, travel with our eyes, fall in love with our eyes. It makes sense to use visual search. We can use photos to search for things on search engines as well as apps like Amazon for example, it’s not only convenient, but it allows us to search for things we may not have the words to describe, e.g. if i had to look for a particular tool for a toolset. Now at @bing we’ve taken this one step further- you can search not just by image, but within an image too! and it can find you matching things and also tell you how much they cost. There’s a *really* good video. That helps massively with discoverability, and for making it easier for your audience to find what they’re looking for without having to do multiple text searches to get it exactly right. To optimize for visual search, a few tips: optimize images, alt attributes etc (the good ol stuff! ), but also think about having an image-only XML sitemap, and also putting structured data around your images too. Okay on to chatbots- they are great because there is no learning curve- I don’t have to figure out how to use a new app or tool, I can simply chat with the business via the same tool I use to chat with my friends and family. e.g. if you know how to use FB messenger. According to Business Insider, 67% of people around the world used chatbots for customer service. It works because it’s convenient. No need to wait for business to email you back or for call center to open– 24/7 answers, instant gratification. Very convenient. Chatbots can also shorten the time it takes to convert– e.,g. I really like the 1-800-Flowers chatbot on FB Messenger. It’s far faster to convert via the bot than even via their website! And they are easy to make. Check out. Q5 What are your favorite digital marketing tools? I really like Bing Ads Intelligence, a free Excel plug-in that let’s you easily and quickly research & analyze. Other handy tools are @semrush, @moz Link Explorer + I’m excited for @sparktoro to launch. I love their #trending tool. I would recommend articles from @dr_pete and @STATrob on optimizing for featured snippets- they have some great tips. Rather than prefer over, my advice is to always include @bing as well. Bing reaches a unique audience as well that can’t be reached via Google or FB. Plus, our audience tends to be more likely to spend $ online. Good for ROAS. 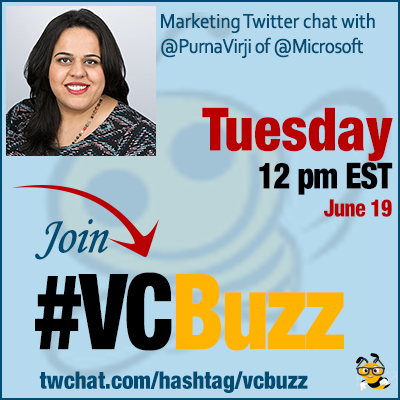 I have a question for @purnavirji in #VCBuzz chat: do you know of a tool to create an image-based XML sitemap? Don’t know of any tools off the top of my head, sorry!